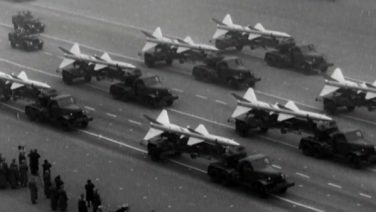 The Cold War: When nuclear weapons kept the entire world on the edge of M.A.D. – Mutually Assured Destruction! As Russia, China and the USA flex their military muscles on the global stage today, ‘M.A.D. 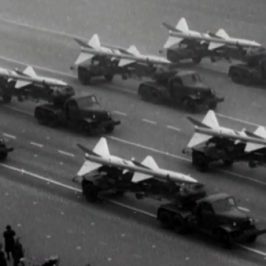 World’ examines the last time we were threatened by the might of world superpowers: the Cold War. 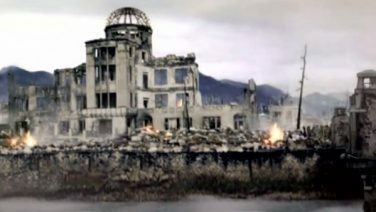 For over forty years the entire world stood on the brink of annihilation, as World War II ended and a new kind of war began; when the push of a single button could trigger all out nuclear war. ‘M.A.D. World’ explores how the world was changed forever by the Cold War. 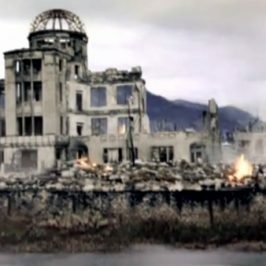 Over eight episodes, remarkable archival film shows how the build up of nuclear arms and the mistrust between West and East instilled terror across the globe. First hand accounts of this conflict are brought to life as we talk to pilots drilled to drop the bomb, families split in two by the Iron Curtain, and escaped dissidents who lived in fear of torture and execution. As we move through each chapter, we look at the legacy of the Cold War today. Did the end of the Cold War really mark the end of global superpower tensions? What can we learn from the lessons of the past? Are we seeing the glowing embers of the Cold War beginning to spark up again? And what new superpowers are emerging to push for greater global power?